What can Texas residents do to improve their home and social life at the same time? How can you throw an epic party right in your backyard? Where can you have an oasis to spend time during great weather? Don’t look too far. The answer could be in your backyard. 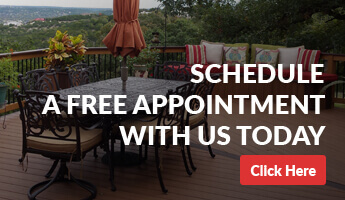 We’re talking about installing your very own deck! Think about the possibilities: birthday parties. BBQs. Family hangs accompanied by food, drinks, and relaxation. But when it comes to a new deck, we’re left with one dilemma. The decision boils down to wood vs. composite decking. Which material is best for your lifestyle? Which is deserving of your hard-earned cash? At the end of the day, it’s a personal preference. But we’ll give you all the info you need to make an informed decision! First Things First: Wood vs. Composite Decking? What do you need to know about these different options? We’ll explain. The main factors to consider in your decision-making process are personal ones. How much is your budget? In 2018, the average cost of installing a wooden deck was $10,950. But some decks, like composite ones, could be as much as $17,668. Are you looking for higher-maintenance, more natural aesthetic — or lower-maintenance composite? Do you see yourself spending time pressure-washing, sanding, sealing, and staining? Be realistic when thinking about how much time you’re willing to spend keeping up with your deck. If you have time to spare, all-natural wood decks might be a great choice. If you’re a busybody, you may need to stick with the easier option of composite. They each have their pros and cons. Let’s dive further. Composite is a manmade product. It consists of equal parts recycled wood fibers and recycled plastic. It resembles the appearance of wood but has a different texture. Composite requires much less maintenance — and has the potential to last longer, too. This material doesn’t rot the way natural wood does. Not only that, it doesn’t require some of the same extras as traditional wood, either. Sanding, staining, sealing, refinishing — these are all things you won’t have to worry about with composite. You also don’t have to think about warping and eventual replacement. Also, composite is easier to install than wood! Of course, with low maintenance comes a higher price tag. You may spend almost double the amount for a composite deck than a wooden one. But with this investment, you forgo hours of labor — as well as replacement and upkeep costs. When it comes to wood, you’ve got many options — stylistically speaking and budget-wise. You’ve got cedar, redwood, ipe, mahogany, Southern pine, and more! Each comes with different characteristics, like durability, look, and price tags. So, what is the best deck wood for your home? Do you want low-cost, high-availability? Pressure-treated wood is available at most home improvement stores across the states. It offers a low cost (about $2.50 a square foot) and easy access. Pressure treating makes wood unappealing to insects such as termites or carpenter bugs. But, because the wood is usually soft, it’s more susceptible to warping and splintering. With a small price tag comes cheaper quality. But, this is still a good option for those with lower budgets. And preventative maintenance will improve any deck’s longevity. Say you have a larger budget and an appreciation for natural, strong wood materials. Then you might want to consider something like ipe, mahogany, or even red cedar. With these materials, you avoid treating, replacing, and as-consistent maintenance. Ipe is a premium exotic wood that makes for a wonderful deck. It’s able to maintain its organic appearance with little maintenance from homeowners. But — it’s only downside? It comes with a heftier price tag. Sitting at around $6.86-$7.66 per square foot, it’s about three times as much as pressure-treated wood. Hanging out in the middle is the beautiful red cedar at about $4.00 a square foot. Red cedar is durable and can get left untreated. But if left alone, it ultimately fades into a notorious silvery-gray tone. If you want to prevent quick fading, you can treat the cedar by sealing it. Or you can wait to see how you feel about the silver hue — and paint it if you don’t like it. NerdWallet’s article told us the average costs of installing a deck in 2018. They also gave us some tips on how to prepare for taking on those costs in a smart manner. 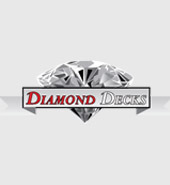 When it comes to your brand new, beautiful deck, how can you spend wisely? Finding and working with a deck builder makes the process easier to leverage to your wishes. A professional can help you get as much as you can out of your budget. They’ll understand the logistic side of things, as well as the aesthetic. Decks are an awesome addition to any home. They’re an extension of your space, giving friends and family a place to relax and kick the shoes off. They’re a place to make memories, have parties, or just read a book. When it comes to wood vs. composite decking, cedar vs. ipe, traditional or modern, no decision is wrong! Now, it’s time to start brainstorming ideas. What do you want your new deck to look like? Here are 9 stunning deck designs to give you inspiration! Share the post "Wood vs. Composite Decking: What You Need to Know Before Choosing a Deck"